The Cyber Threat Framework was developed by the US Government to enable consistent characterization and categorization of cyber threat events, and to identify trends or changes in the activities of cyber adversaries. The Cyber Threat Framework is applicable to anyone who works cyber-related activities, its principle benefit being that it provides a common language for describing and communicating information about cyber threat activity. The framework and its associated lexicon provide a means for consistently describing cyber threat activity in a manner that enables efficient information sharing and cyber threat analysis, that is useful to both senior policy/decision makers and detail oriented cyber technicians alike. We are living in paradox - industrial and information age achievements are shaping a world both more dangerous and richer with opportunity. Human choices will determine whether promise or peril prevails. Global Trends is the Intelligence Community’s major assessment of the forces - and choices - shaping the world over the next two decades. 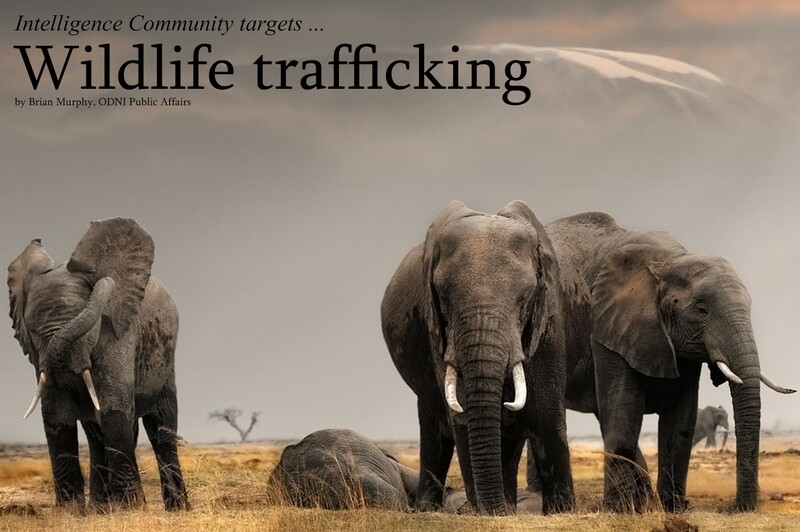 Faced with an unprecedented rise in wildlife crimes around the globe, the Presidential Task Force on Wildlife Trafficking, co-chaired by the Departments of State, Interior and Justice, hosted a symposium at the National Geospatial-Intelligence Agency’s William Allder Auditorium in Springfield, Virginia, June 28-29. The purpose of the Combating Wildlife Trafficking Symposium was to foster discussions concerning illegal wildlife trafficking and how collaborative relationships across government, civil sector, academia, international partners and non-government organizations will identify fundamental geospatial data and its implication within a human geography framework.